Private Burgundy tour includes: Our private Burgundy tour includes private transportation and the services of a wine guide, taxes, tolls and parking. Not Included: Accommodations, train tickets to and from Paris, entrance fees to sites you decide to enter, meals, cost of wine tasting. NOTE: We will assist you in securing your hotel room and train tickets. On day one of this relaxing private tour through the Burgundy countryside, you will travel by train from Paris to Dijon in Burgundy. This is one the most famous wine districts in Burgundy, particularly known for its dry whites. Here you will visit a winery and sample some of the fruits of the vine. Your next stop in this private Chablis tour will be a leisurely lunch in an authentic local bistro. 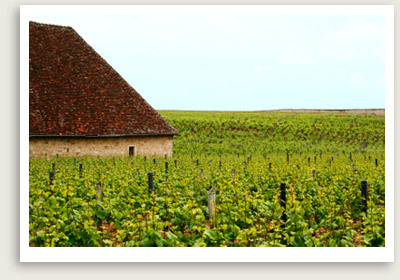 Later in the afternoon your private Burgundy tour will take you to visit another winery for more wine tasting. En route back to Beaune, you will stop at the picturesque medieval town Semur-en-Auxois. You will have the rest of the day free to enjoy and explore Beaune. The town has several great restaurants for you to enjoy. Restaurant reservations can be made on you behalf. On today’s relaxing, private tour in Burgundy, you will travel with your tour guide to the Côte de Nuits, a region famous for its great red wines, particularly its Pinot Noirs. Beloved red wines from this region include Saint-Denis, Chambolle-Musigny, Vougeot, Vosne-Romanée and Nuits Saint-Georges. The Côte de Nuits grand cru wines are among the smallest appellations in France, some covering less than a hectare. Here you will visit a winery, where you’ll be introduced to the art of wine tasting and production. Next stop in your Burgundy private tour is Le Clos de Vougeot, a medieval, stone-walled vineyard started by Cistercian monks in the 12th century. Afterward, your private guide will take you to a leisurely lunch in a small local restaurant. In the afternoon your private tour of Burgundy will take you to another wine cellar in the area for more tasting of Burgundy wine. En route back through the countryside along the Burgundy canal, you will stop at the picturesque hilltop village of Chateauneuf-en-Auxois. At the end of your Burgundy tour you will be taken back to your hotel or to the train station, depending on your plans after your time with us.